LITTLE more than a century ago, Stravinsky’s The Rite of Spring inspired a revolution in classical music – and left the audience rioting! Hopefully the same won’t happen again when the legendary Russian composer’s masterpiece is performed again by the Royal Welsh College of Music & Drama Symphony Orchestra at St David’s Hall on Wednesday 1 July! However, you can still expect the musical voltage to be just as high when conductor David Jones leads the ensemble through the ultimate orchestral showpiece. Also on the programme is Tchaikovsky’s heartbreaking Fantasy Overture from Romeo & Juliet, and Lutoslawski’s Variations on a Theme of Paganini – impeccably performed by piano soloist Richard McMahon. 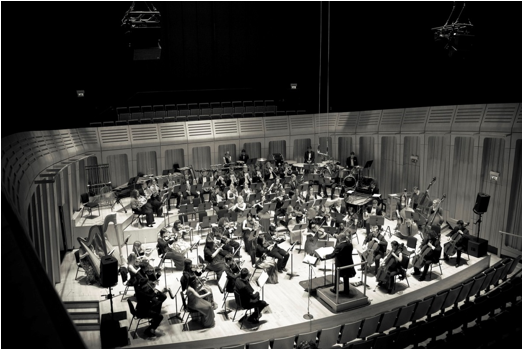 Relive the classical revolution at St David’s Hall!